Hunter Fashion Magazine is dynamic and original. With a sharp eye for style and a passion. Hunter Fashion Magazine highlights creativity no matter where it originates from. Hunter Fashion takes away any notion of being a poser as it does not provide you with the common insight into fashion. As the magazine showcases way more individual styling, giving it a complex viewpoint. Buy a single copy or subscription to Hunter Fashion magazine. Hunter Fashion Magazine covers a whole host of alternative styles of fashion. The magazine is jam-packed full of photographs, featuring contributions from anyone who meets its bar for individuality. 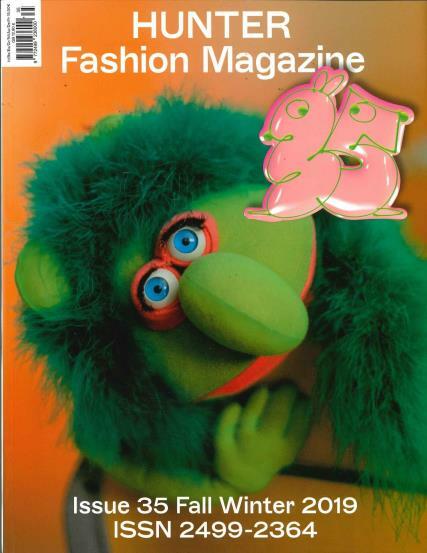 This is a quarterly fashion magazine that is forceful and imaginative. Don’t but this magazine expecting to find a long-form discussion about the newest fashion trends, as the magazine perverse images. As they all of the pages are home to some of the highest quality photography. Hunter often has display anyone who matches their ethos no matter their experience.